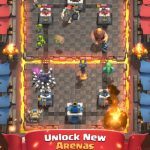 Clash of Clans’ popularity may arguably be on the wane, but Supercell has kept the franchise going with its recent release, Clash Royale. While a lot of the mainstays of CoC will be no stranger to you when you start playing this game, there are also various twists, not the least of these being the mechanics. This is an immersive card battling game, as opposed to a MMO city-builder game, and it also happens to be a free-to-play game. Just because this game is free-to-play doesn’t mean it’s one of those myriad titles that reward those who are more than willing and able to pay good money to get an edge over their opponents. In fact, paying money to win doesn’t reap the rewards one may expect, and beginner players will get the core cards early in the game, allowing them to build a formidable deck. 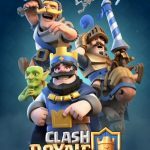 But like in Clash of Clans, elixir is an integral part of Clash Royale mechanics. It’s this elixir system that you can leverage in order to upset tougher opponents, and we’re here to tell you how to use the elixir system properly and beat more opponent decks. The very first thing you have to remember when using elixir is the importance of gaining elixir advantage – in other words, staking your claim on that advantage. That means not using expensive cards against less expensive enemies ; for example, you don’t want to spend five elixir units to deal with enemies who cost two, three, or even four elixir units. That’s going to give your opponent some extra elixir that they can use to unleash more units and mount a late charge. 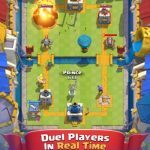 Even a tiny elixir advantage could prove game-changing in Clash Royale. That’s despite the fact that matches would usually take less than five minutes to complete. So how do you gain an advantage? Generally speaking, you want to compare your cards with your opponent’s cards, and make subtle changes that could allow you to use as little elixir as possible while thwarting common tactics. Examples include using Arrows to counter Skeleton Army, and Skeleton Army to counter Giant. All these, in case you’re wondering cost four elixir. The obvious strategy many people go for is to scout their opponent before playing their cards. Remember that your elixir bar will stop filling up once you have ten units of elixir, which could compromise your ability to spend. So with this in mind, don’t go for the scout-before-you-attack approach; if your opponent does this, then that’s good news, as that will earn you elixir advantage. At the end of the day, having a balanced deck is the key to optimizing your elixir usage. Currently, the best threshold for elixir usage is 3.5 to 4.5, with a deck having a nice balance of offense, defense, and counter cards. Feel free to switch up your deck if your positive elixir trades end up being counterproductive for you.